the Newton's Nook Designs blog! This Biweekly Challenge was a Color Challenge. Inky Paws Challenge #94 Winner! 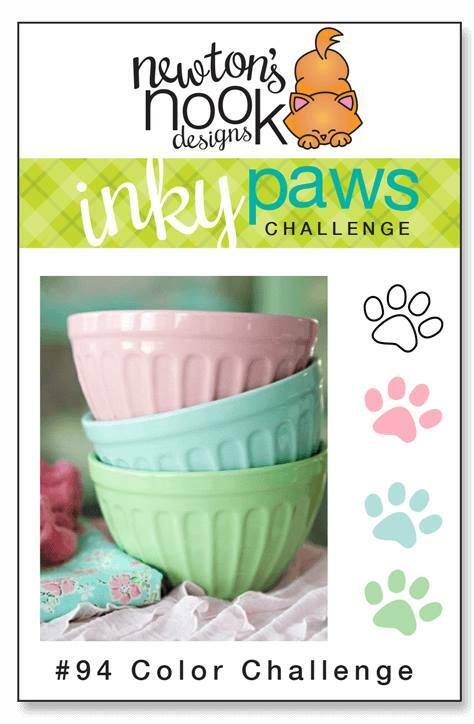 We've chosen one RANDOM winner using random.org to receive a $20 Store Credit to Newton's Nook Designs! Donna serves us this delicious treat. 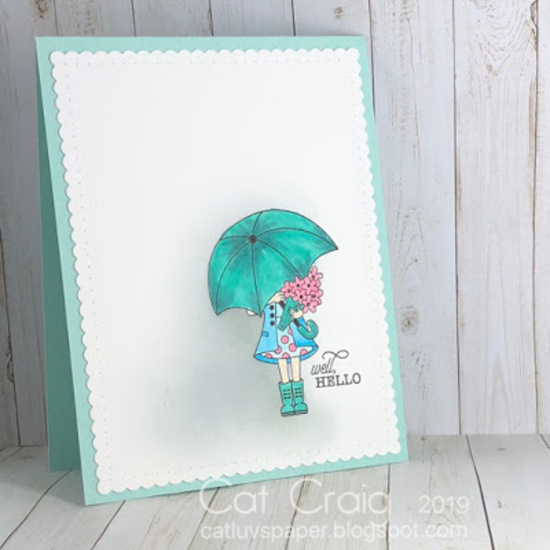 She creates a lovely background using a mint green card base and a pink floral pattern paper. 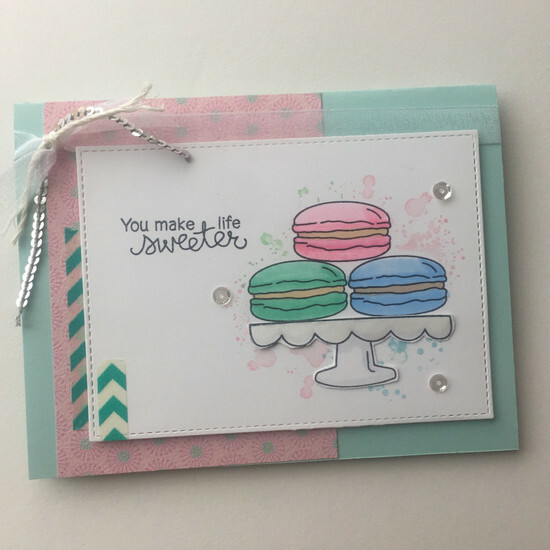 She then creates a splattered background on which she adds a plateful of yummy macaroons from the Love & Chocolate stamp set. She stamps the sentiment and adds some sequins, washi tape, and some pretty ribbon and twine. Our Inky Paws Challenge Inspiration team has chosen a few of their favorite challenge entries from this challenge! If you see your card below, contact us if you'd like to get a "favorite" badge for your blog! Cat Craig shows off her amazing coloring skills on this amazing CAS card! She uses the Frames & Flags die set to create her white background. She then stamps and colors the girl with her umbrella from the Loads of Blooms stamp set. So pretty! Irene designed this sweet CAS card. 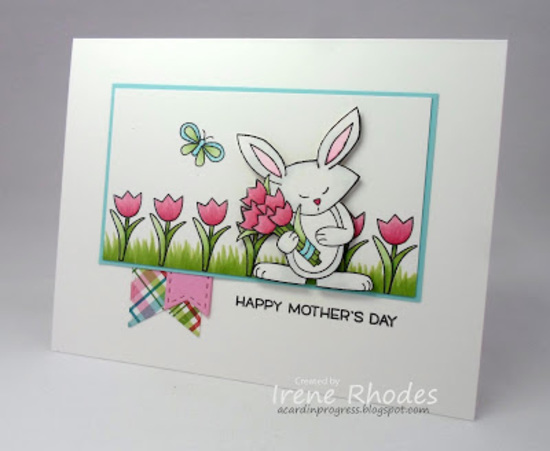 In the tulip garden, she adds this delightful bunny from the Hello Spring (retired) stamp set. She adds a some grass and butterfly to finish her scene. Her fun banners at the bottom add a nice splash of the challenge colors! 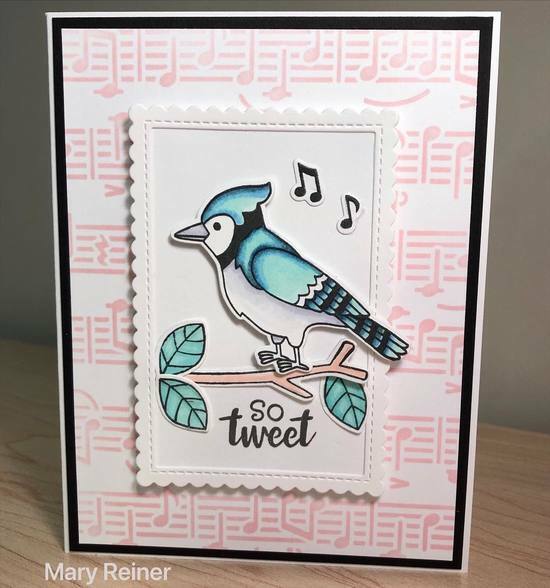 Jennifer shows her great style and uses the challenge colors so well in this darling square card. She uses the pink striped pattern paper for her base, then adds the center square with it's pretty blue sky. 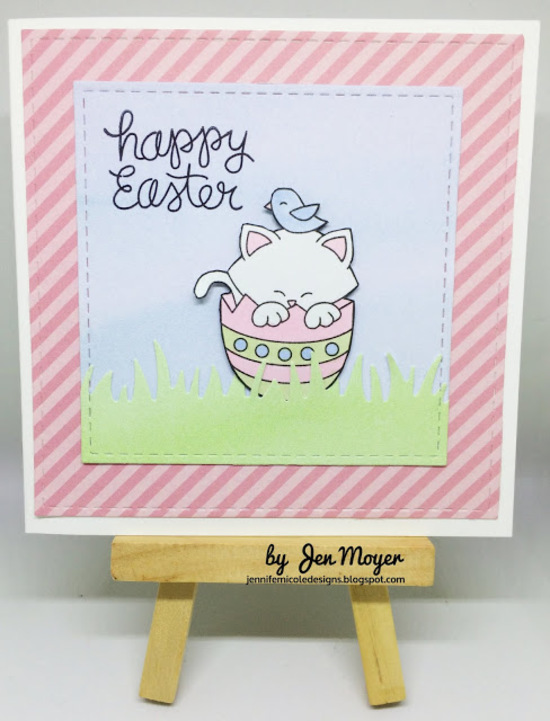 The kitty peeking out of the eggshell is from the Newton's Easter Basket is colored in the pastel challenge colors and placed in a grassy layer. Mary Reiner creates this fun scene! She uses the Newton's Book Club stamp and die set and places the sleepy kitty behind a window. 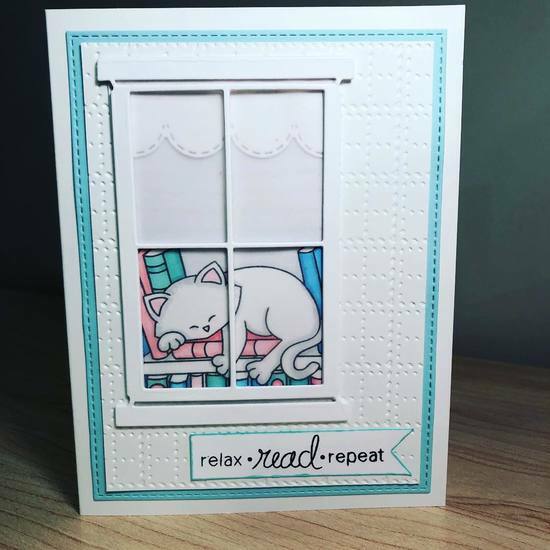 This is all placed on an embossed layer which she has framed with a teal background.What a purr-fect way to spend a lazy day! Thanks again to everyone who entered - It's really so much fun to look through all the entries and see everyone's ideas! If you didn't win this time, we hope you'll play along again next time! You can always find our most current challenge here. Oh my gosh so many pretty cards! Thank you so much for including mine in the favorites. I feel so lucky to have my cards picked as favorites. Thank you so much! !